Published: Aug. 5, 2015 at 02:22 p.m. Updated: Aug. 6, 2015 at 01:03 p.m. Anticipating this Saturday's enshrinement ceremony at the Pro Football Hall of Fame got me wondering: Who among today's players is a virtual lock to eventually join the Class of 2015 in Canton? That is to say, who, if they stopped playing today, could engrave a future trip to Northeast Ohio on their calendar? Below, listed in alphabetical order, are 13 current players who are, as I see it, a lock for the Hall. Keep in mind that this list is based not on what a player might do in the future but only on what he has accomplished thus far. 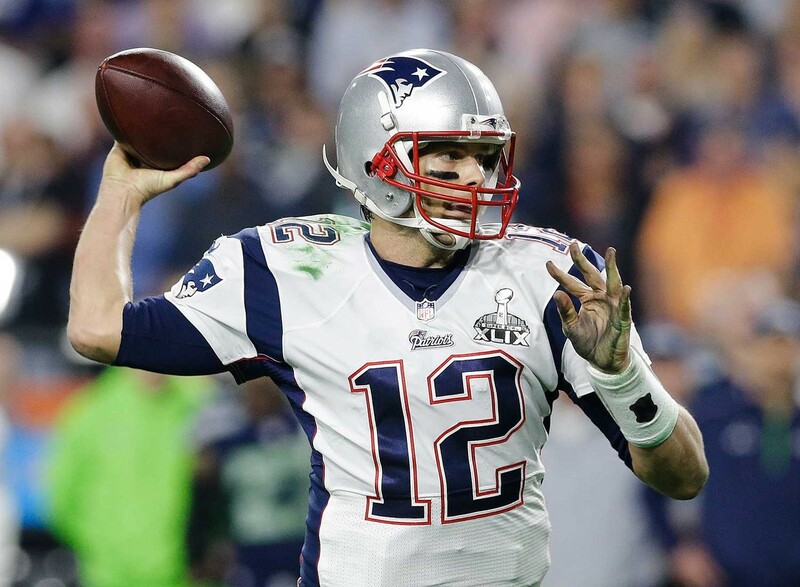 Six Super Bowl appearances and four wins -- that's all you need to know about Brady. The two-time MVP worked hard to turn himself from a sixth-round draft pick into a feared quarterback who can never be counted out. The ongoing ball-deflation drama and four-game suspension has not changed what I think about him. I just don't see ball deflation significantly impacting the outcome on the field; consider Brady's brilliance in the second half of the AFC title match, when the balls were properly inflated. The bottom line is, he's easily a top-five all-time quarterback. There have been just eight 5,000-yard seasons in NFL history -- and four of them are on Brees' résumé. He has a strong arm, but he also throws a very easy-to-catch ball; consider his spot atop the all-time leader board in both career (66.2) and single-season (71.2, set in 2011) completion percentage. The knock against him is the Saints' spotty performance -- two losing seasons and a 2-3 playoff record -- following their Super Bowl run in 2009, but I think that has had more to do with the salary cap than Brees' performance. Last season marked a downturn for him, and he still got within 48 yards of cracking the 5,000-yard mark again. Johnson is a rare individual. He's big, fast, runs his routes well and has great hands. Defenses do everything to try to stop him -- double-team, triple-team, knock him around -- to no avail. The thing you'll hear about him is that he's only been to the playoffs twice and hasn't won, but he also hasn't had the benefit of consistent quarterback play throughout his career. The single-season receiving yards record (1,964) he set in 2012 will be hard to break. Manning's career -- 17 years, one Super Bowl ring, five MVP awards and a host of passing records, including the single-season mark in yardage (5,477, set in 2013) and the career mark in touchdowns (530) -- speaks for itself. He's just so smart. Sure, some will knock him for his 11-13 playoff record (including a 1-2 mark in Super Bowls), but by and large, the body of work here is one of the best of all time. Peterson is coming off a lost season, having spent almost all of 2014 either suspended or on the Commissioner's Exempt List after being indicted on charges of reckless or negligent injury to a child, but when you look at what he's done on the field, he's been the most dominant running back since Eric Dickerson. It's no coincidence he got within a carry or two of breaking Dickerson's single-season rushing record in 2012, racking up 2,097 yards while pushing the Vikings to the playoffs. Peterson has really transformed himself into a complete player over the course of his career, becoming a much better pass protector and receiver than he was as a rookie. He's got great power and outstanding speed. Revis is unique. He's not a speed guy; he's not the fastest guy in the world. But he is a shutdown corner in the truest sense of the word. He has a tremendous ability to find the ball and recognize the route, and he's got great athletic skills. It's very tough to complete a pass against him, and so quarterbacks just don't throw in his direction. When you can take away a percentage of the field, as Revis does, you change the way your opponent operates. Yes, Revis helped the Patriots capture the Lombardi Trophy last season, but the fact is, he'd be headed for the Hall even if he'd never won a ring. Critics would ding him for having a relatively short tenure (seven seasons) as the Packers' starter, but what he's accomplished in that time is off the charts. Don't forget that he came in and replaced someone who was basically a Green Bay god in Brett Favre -- and did it extremely well. He's got a Super Bowl ring and two MVP awards to his name, and he's in the record books with the best single-season passer rating (122.5, set in 2011) and career passer rating (106.0) of all time, which just speaks to his greatness as a quarterback. He's simply outstanding in all facets of the game. In his first pro season, Roethlisberger won the Offensive Rookie of the Year award; in his 11th, he racked up 4,952 passing yards, notching a career high and tying for the most in the NFL. In between, he became one of just 11 quarterbacks with multiple Super Bowl rings, capturing two to date. Big Ben is a classic passer with unbelievable arm strength, and he's almost impossible to tackle. He might have been the third quarterback to come off the board in the 2004 NFL Draft, but he's rewarded the Steelers handsomely for their decision to take him at No. 11 overall. Suh is an excellent player, an athletic competitor who would get in on the strength of his overwhelmingly dominant impact on the field. He doesn't have much in the way of team success to point to, but for much of his time in Detroit, he was the defense, steamrolling opponents despite drawing double- and triple-teams. He's been one of the best defensive tackles in the game over the course of his career. It is hard to shine on a losing team, but that is exactly what Thomas has done for most of his eight-year career. The eight-time Pro Bowler has started 16 games per year since the Browns made him the third overall pick of the 2007 NFL Draft. Of course, his team has also lost prodigiously in that span. But instead of looking for a way out of town, he's stuck it out and played at a high level. He's similar to Hall of Famer Bruce Matthews, whose Houston Oilers/Tennessee Titans reached double-digit win totals in just six of his 18 NFL seasons. He's only been playing professionally since 2011 -- but in that short time, the two-time Defensive Player of the Year has proven himself to be the most dominant defensive lineman to come into the NFL in many years. In fact, he's so dominant, it's almost illegal. After a 5.5-sack rookie campaign, Watt really took off, exploding for 51.5 sacks over the next three years -- easily the most in the league over that span -- for an average of 17 per season. He's not just a sack machine, either; Watt is good against the run, forces turnovers that lead to touchdowns and can even score on offense. He's a highly competitive player who can't be stopped. Even the most casual observer can see the amazing talent on display when Watt takes the field. Tight end is a tough position to play with the kind of longevity Witten has, but I don't think he's slowed down at all heading into his 13th season. Among tight ends, he ranks No. 2 all time in receiving yards (10,502) and receptions (943) and No. 5 in touchdown catches (57). In addition to his pass-catching prowess, Witten is a very good blocking tight end. To spend 17 years in this league and still be playing like a five-year veteran is amazing. Woodson seems to have a sixth sense for success in the secondary; he's got a knack for making big plays at opportune times and capitalizing on them. Woodson has 11 career pick-sixes, tied for second-most all time. He also always gets the other defensive backs lined up correctly. What impresses me the most is that he seems to be as excited to play for a Raiders squad coming off a 3-13 season as he was to play for a Super Bowl heavyweight in Green Bay.